Like Mega Man 7 before it, Mega Man 8 finds itself in a weird place as a follow up to the classic series in the same time the Mega Man X sub-series is going strong, with the release of the excellent Mega Man X4 in the same year. 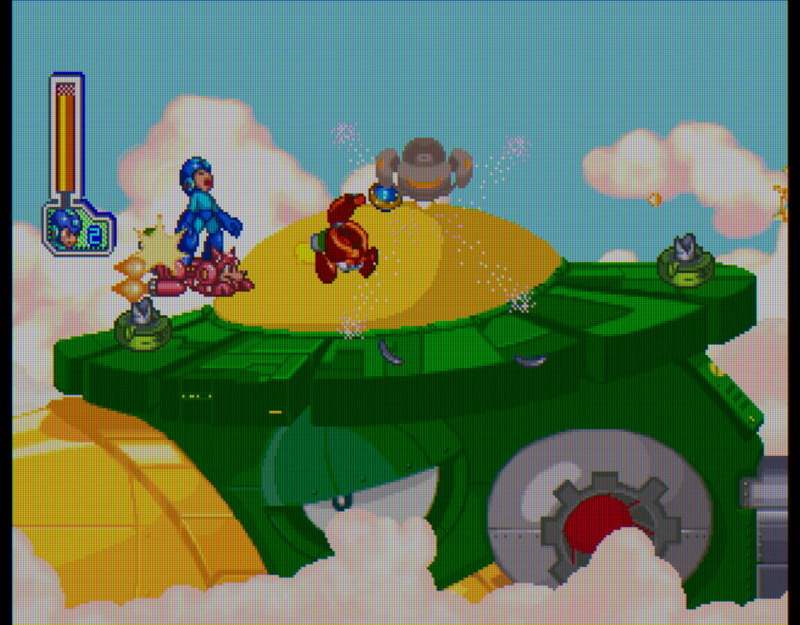 As such, Capcom strangely seemed to push through two Action Platforming Mega Man games at the same time. Many saw that this game, which is much simpler than the flashier X4 wasn't worth it. However, taking the game without comparison to others in the series, this just shows how the franchise simply edged anything else competing with it in the genre at the time. "Dr. Wiley?! Why are you here?" The game begins with an anime scene showing a grand battle in space between what appears to be two robots. This will be the first of a number of anime scenes that will be used to highlight key moments in the story. One thing people will always remember about these admittedly nice-looking cutscenes is what could probably be considered one of the worst voice acting jobs in history. Every line spoken is an affront to the ears; with some amazing variety of terrible VA techniques. 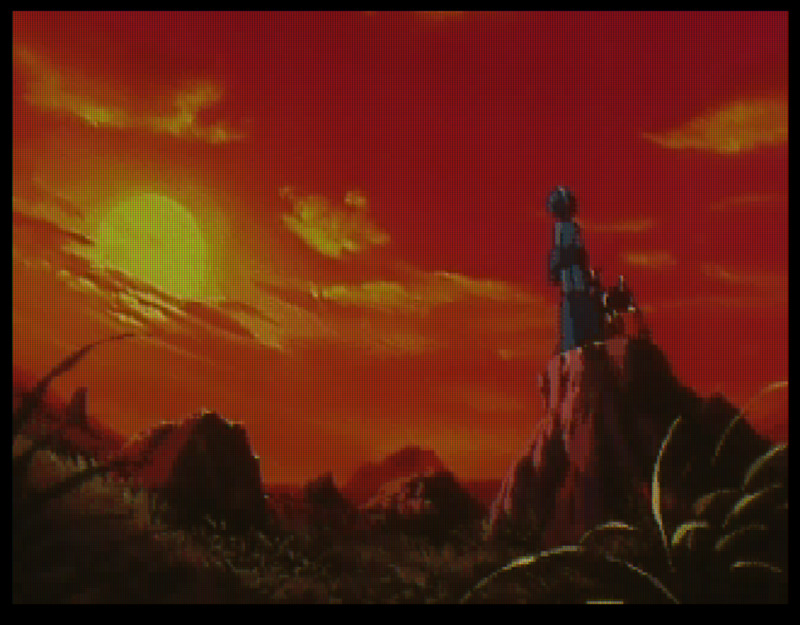 Back to that first scene, it concludes with an evil looking robot crashing into Earth. Soon, the resilient Dr. Wiley finds that robot, which houses the aptly named "Evil Energy" which he then uses to infect eight other robots to do his bidding. He didn't need such a thingamajig to start up an evil army; maybe he is just getting too old. Once again, you need to defeat eight robot masters. Except, this time, they are segregated into two groups of four. Regardless, despite an honest attempt by Capcom to provide more story and setting to a Mega Man game, that's not exactly effective. However, I must say that regardless of how idiotic the story is, the classic series design, which is now shown in some glorious 2D art, have always captured my imagination more so than a thin story could. Oh, and then there is some token action from Proto Man as well. "What power!!.... I've got to go after him"
If you played any Mega Man game, then you roughly know what to expect here. 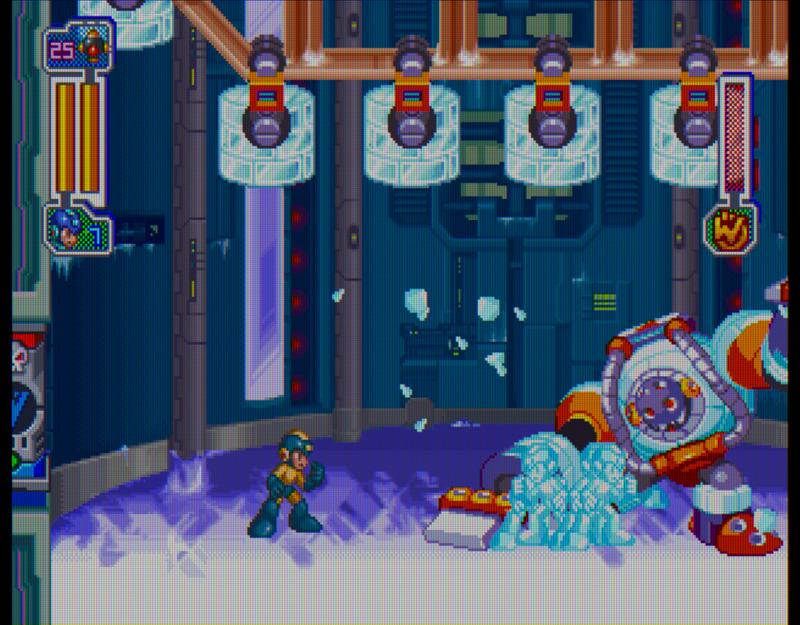 Mega Man must fight eight robot masters (bosses), gaining an ability from each foe, and usually using the sum of all his abilities to traverse some complicated platforming stage. 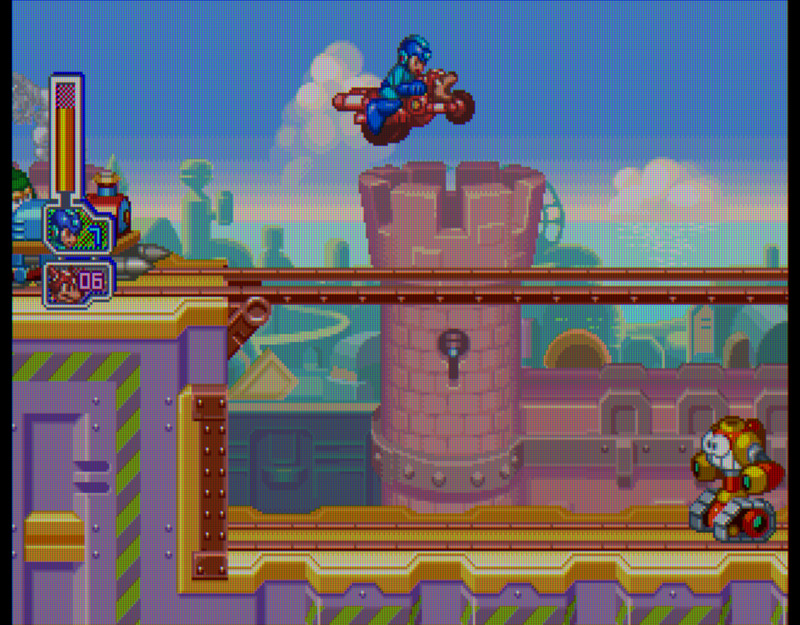 In this entry, Mega Man has access to his dashing slide ability, but no wall jumping or air dashes. This means that the platforming is slower and more deliberate than the Mega Man X series. Generally, each level tries to bring its own spin. There is a typical level with winds that influence the distance and trajectory of your jumps, and another with explosive platforms (with a timer). It keeps each stage unique enough without relying on a single crutch. That's especially noted in one stage, where you must use the weapons you have to traverse four sets of platforming puzzles. Some gimmicks were not well received at the time though. Slide, Slide, Jump, Jump, Jump, Jump. If you know what that is, then you have been subject to the on-rails sliding sections of Mega Man 8. Quite simply, you are sliding forward and must slide through incoming obstacles or jump through deep chasms. Except, the camera is too close to you, and you have little knowledge of the incoming danger other than warning signs that order you to jump and slide but end up interfering with each other and confounding you. Other than that, the platforming is top-notch, but there is a certain suspicion that each idea could have been used further, which is a common complaint of the series. "Bass, why must we fight? We are not enemies"
On to the action part, that's probably the best part of the game. Charging the Mega Buster and unleashing a shot that obliterates several hard-hatted minions is as satisfying as ever. Better yet, there are three charge shots you can choose from (you need to buy with bolts found in each level), and all are fun to use. Other than the usual minnows, the game emphasizes action with its use of mid-level bosses, which unfortunately isn't in every level. These bosses allow Capcom to experiment with bigger sized foes than you are usually accustomed to fighting. As usual, the robot masters are the highlight of the game. Thankfully, you have a variety of ways to fight them, as even without their weaknesses, you have a fighting chance. In fact, I do suggest fighting them with your basic weapon first. That's always an internal debate with me regarding the series. Should I fight the bosses with or without their weakness weapons? In some games, it would trivialize the entire boss fight. Yet, here, I found that while they do give you a clear advantage, the fights are still difficult enough. "Megaman! You won't escape this time!!" At the beginning of this review, I noted how this is a follow up to the classic Mega Man series, and that there is another parral sub-series being produced at the same time. The classic series started in the 8bit era, and in the 5th generation, no one had the bravery to persist with an older style. In fact, Sony only chose to include Mega Man 8 in their ads to make sure Sega does not have an exclusive in their hand. 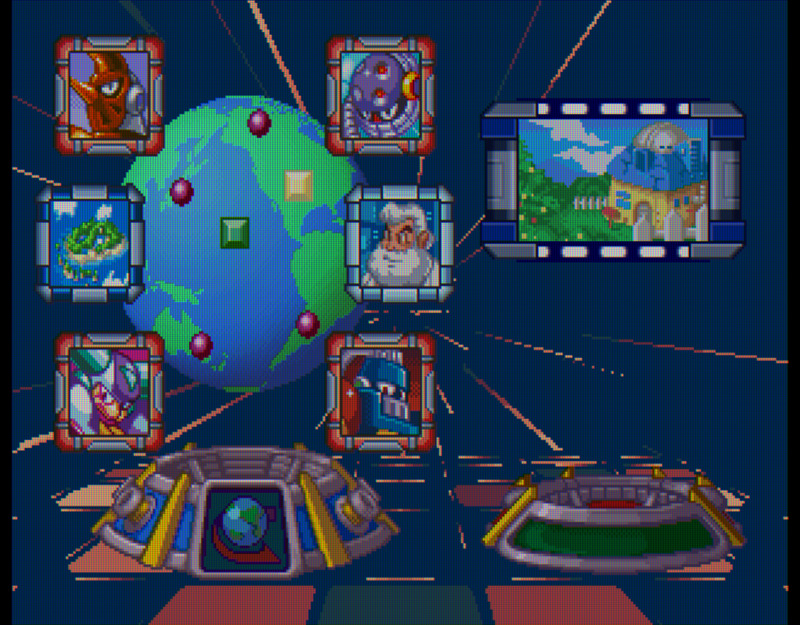 Anyways, there in 1997 there were two 2D Mega Man games, and they looked similar in many ways, but different in many others as well. While the X series is known for its edgier look, the classic series basically was inspired by Saturday Morning Cartoons such as Astro Boy and its ilk. That style is wonderfully presented in the animation and graphics of this game, which to this day looks really great. Also taking inspiration from the classics in the series is the very good soundtrack, which, while not reaching the addictive hights of the series, is mostly very good. Of course, that firmly excludes "Clown Man's" stage, which is an abomination in and of itself. Not a bigger abomination that the terrible VA though. Today, Mega Man 8 is known as a curious decision by Capcom with some terribly voice acted scenes. A game that was made despite a better one in the same series being published half a year later. Maybe compared to other games in the series, this one falls a little short. However, in absolute terms, this game is clearly heads and shoulders above others in the genre, even if it cannot compare highly with its brethren. 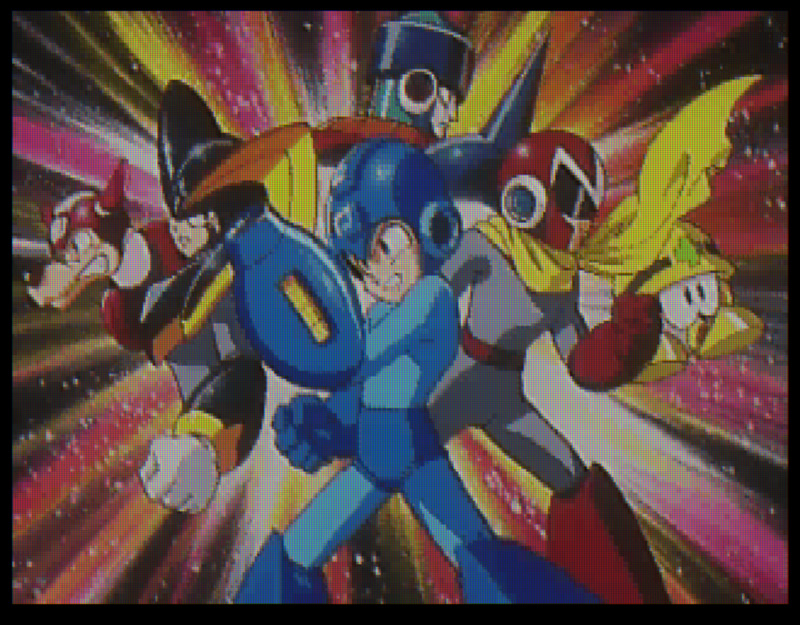 Some great Mega Man action. The platforming rarely reaches its true potential. 1- Look for bolts in each stage to buy the power-ups. 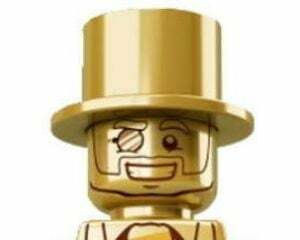 2- Buy the two charge modes, and the charge speed powerups first. 3- If you need some help or health, you can use one of the many Rush powerups (once per stage). 4- Try and memorize the sliding parts instead of listening to the stupid announcer. 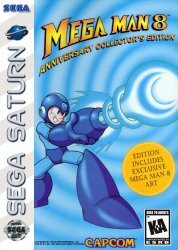 As a fan of the Mega Man series, I, of course, liked this game. While it is not in the top 10 of my Mega Man core games (Classic, X, and Zero), it is still a great tie for any fan of the genre and/or series. Next game in the list, at #65, is made by Lucas Art's. Herc's Adventure looks like its going to be a good game, or so I hope.